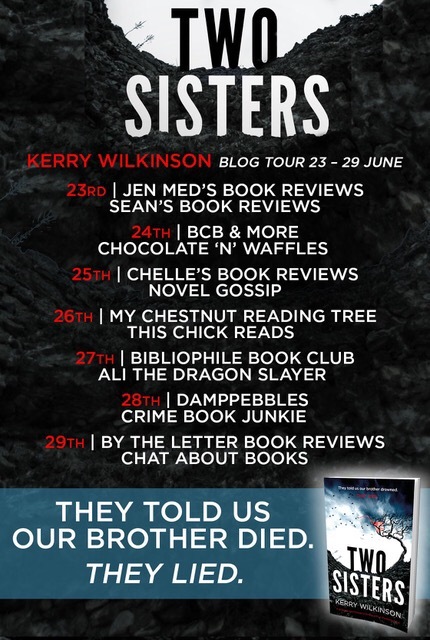 I’m delighted to be on the blog tour today for Two Sisters so thank you to Kim Nash for inviting me! I have enjoyed the Jessica Daniels books by this author but this is the first standalone book of his that I’ve read. And I have to say it probably won’t be the last! I’ve already read the blurb for his next one out in September and made a mental note to keep an eye out for it! The first thing I will say about Two Sisters is that I felt it actually had quite a Young Adult feel to it. This was possibly due to the ages of Chloe and Megan (20 and 16) and also the storyline surrounding the teenagers who are left to summer on their own by the sea whilst their parents live their own lives. I had an image of the village they were living in as a sort of smaller and spookier Newquay, which also has a very young crowd taking it over as soon as exams are finished for the summer. Chloe and Megan were very different in nature but were united by the deaths of their parents. Saying that, they were both handling their grief in totally different ways. 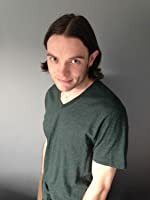 I thought that Megan’s mental health issues were handled very delicately and with a real depth of understanding of her actions and reactions to events in her life both past and present. Chloe was less complicated but was an intriguing character who was still able to surprise me even though she is much more of an open book. I had absolutely no idea where this plot was heading! The entire storyline was full of dodgy characters and I suspected each and every one of them. A lot of the action took place in the village pub and local shop and whenever Megan went into those places, I always got goosebumps! It was like being in the middle of a stereotypical horror film at times and I had flashbacks to The Slaughtered Lamb from An American Werewolf in London at one point!! I can’t remember the last time I physically felt such an intensely atmospheric vibe in a fictional setting. This was one village I would hate to have a holiday home in!! As the lies started to unfold themselves, the book then became a much faster paced thriller taking an unexpected direction right up until the final few pages. The dark and moody undercurrent make this a bewitching and enthralling thriller packed with a real sense of foreboding along the way. Kerry may have moved away from his usual formula but it certainly worked for me! Two Sisters: A gripping psychological thriller with a shocking twist is published by Bookouture and is available to buy now. Fab review, Jo! So many great thrillers coming out – it’s nearly impossible to keep track! I like YA and I like thrillers so this one seems a perfect fit for me :-). It sounds like an excellent novel really, I like the moody undercurrent and it seems he created the perfect atmosphere on paper. Great review!